At Oleoestepa generation after generation has worked alongside nature to obtain the best. This has given way to the conservation of a forest of more than 7 million trees. This ecosystem is perfectly balanced in large part due to the symbiotic relationship between nature and the inhabitants of the area. The basis of this sustainability is integrated production and organic farming methods. Both systems base themselves on a combination of farming techniques and production techniques that are mindful of the environment and at the same time achieve high quality products. This is done with a food safety guarantee and without sacrificing the full production capacity. Reasonable use of natural resources is observed, especially water, in order to avoid erosion. For consumers, our products, because of our farming systems, provide a guarantee of food safety, quality, and sustainability. These are precisely the criteria that should be weighed upon when purchasing. 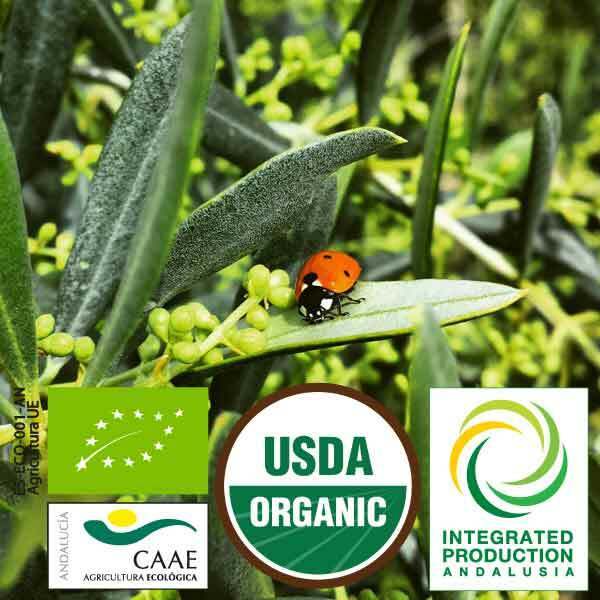 At Oleoestepa, 100% of the 54,000 hectares of olive trees are farmed using the Integrated or Organic production systems. This vision is permeated throughout the Cooperative and could be considered a System of Sustainable Activity.